For many, pets are considered beloved members of our families, they become devoted companions who love unconditionally. 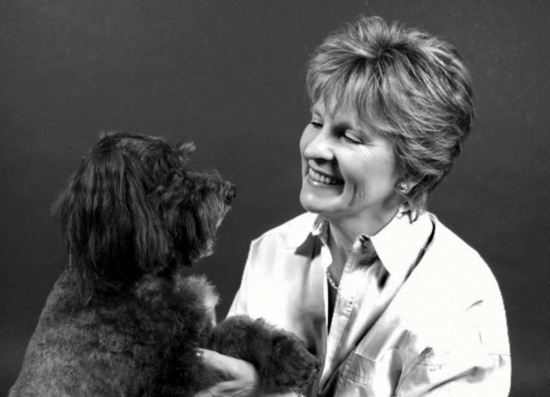 Internationally renowned animal communicator, Diane Roadcap deeply understands this and the reality of the very human desire to know what our pets are thinking, feeling or why they are behaving in a certain way. Diane’s gift provides a bridge of communication that has true insight based upon mutual understanding and respect. You have helped me twice with my dog, Grace. She had terribly tummy troubles. A year ago, she shrieked every time she moved her bowels. Thankfully, you told me what was happening and now she is on medications and a diet that allow her to live a wonderful life. Dealing with the vet was difficult because her condition seems to be unusual, but having your guidance made it possible for me to effectively advocate on Grace's behalf. She is like a new dog! Thank you so very much for giving me this wonderful year with my precious Grace. God bless you." "I went to see Diane after my dad passed away. During the reading, my dad came through to tell my sister happy birthday (my older sister had her 50th birthday). He then told Diane about an insurance policy that my mom didn't know about for $7500. I asked my mom about it that weekend and she swore there was no such policy. About 3 months later, I was talking to my mom on the phone and my mom tells me that she found an insurance policy from Metlife that belonged to my dad. She called Metlife, mentioned her husband had passed away recently, and asked what the account was for. The service rep told her it was a policy worth $7500." "Shay was a kitty that we rescued from death row. When we got her, she was emaciated and refused to eat. I tried everything to coax her to eat including feeding (via tube) just to keep her alive. In the reading, Shay told Diane that she was heartbroken for the loss of her home where she loved another kitty that was no longer with her. Diane explained to Shay that if she wants to live, she needs to eat on her own. Shay promised Diane she would eat but she did not want any more feeding treatments. I took Shay home and sat in awe as I watched her go over to the wet food, and proceed to eat on her own. Shay is a happy healthy kitty and her heart is bigger than ever."